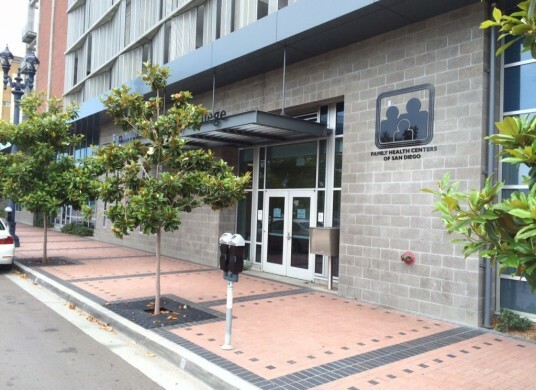 Established as a health care resource for teenagers and young adults (ages 12 to 24), Teen Health Center is located on the campus of City College of San Diego and provides a number of important health care services, including peer education, vaccinations, acute care and sexually transmitted disease screening and treatment. Please enter through the main entrance at 1550 Broadway, Suite 2 and check in with the receptionist on the left. The lobby of the Teen Health Center will be located to the right. Treatment is either free or low-cost, and the staff respects patient confidentiality and privacy. Monday: 1:30 – 5:30 p.m.
Tuesday: 1:30 – 5:30 p.m.
Wednesday: 1:30 – 5:30 p.m.
Thursday: 1:30 – 5:30 p.m.
Friday: 1:30 – 5:30 p.m.